Untuk menyerahkan naskah yang akan diedit, silakan mengikuti (prosedur) ini. Bagi seorang peneliti Taiwan, mungkin tidak sulit untuk menulis tata bahasa dan kalimat yang benar dalam bahasa Inggris. Walaupun, untuk menulis artikel yang mudah dibaca adalah sesuatu hal yang berbeda. Berdasarkan pengalaman saya, editor Uni-edit telah berusaha untuk mendapatkan esensi dari kalimat dan paragraf saya, dan memperhalus artikel tersebut berdasarkan esensinya, bukan hanya melihat dari sisi tata bahasa, namun juga membuat artikel tersebut lebih mudah dibaca. I've always been using Uni-edit English editing service since my former professor recommended their services to me. They helped me to write Reports, Conference papers and journal papers and their editing was detailed and satisfying. Uni-edit offers flexible Turnaround Time, reasonable price and easy-to-use service. Ini adalah pertama kalinya saya menggunakan jasa pengeditan Ozy untuk memperbaiki naskah jurnal saya. Saya sungguh merasa puas dengan hasil pengeditannya. Saya menerima dokumen yang telah diedit tepat pada waktunya dan menggunakannya untuk menyelesaikan naskah jurnal saya. Saya terkesan dengan komentar yang diberikan untuk menyarankan bagaimana kalimatnya bisa menjadi lebih efisien dan profesional. Dan saya bisa merevisi kalimatnya berdasarkan komentarnya. Ozy telah memperbaiki tata bahasa dan tanda baca tanpa merubah artinya. Bagi saya, ini merupakan peningkatan dan pengalaman belajar yang baik dalam bahasa Inggris. Saya sungguh menghargai sikap profesionalnya untuk membangun hubungan jangka panjang dengan klien. Karena saya mengakui keahliannya dalam pengeditan, saya akan memanfaatkan jasanya untuk masa yang akan datang. People often say: "A proper packaging is a great way to highlight the values of good works”, especially for a manuscript paper. Ozy, the chief-editor of the Uni-edit team is exactly the packaging to me. There was one time a comment from journal reviewers has been returned to me and pointed out directly my English grammar need to be improved. Fortunately, several doctoral in senior recommended me Ozy and his editing team. My paper has been accepted since Ozy’s sincerity and strictness with professional services. Nevertheless, I believe you will appreciate the professional services from Ozy and his team once you have collaborations with them. It is such a reliable editing team with strictness, carefulness, punctuality. Here again, I strongly recommend the Ozy its Uni-edit team. Our team has been working with Uni-edit in English editing for a long time. We are very pleased and satisfied with the results of the work. We are happy to recommend Uni-edit to all other professors and scholars. We recently used Uni-edit editing and translation services and we were very satisfied. The review met our expectations and the service was very cordial and professional, with clear and fast answers. After Uni-edit review, our manuscript was accepted without restrictions for publication. - Dr Anderson S. Cabral. Hello everyone, I am Professor Hsueh-Fen Juan from the Department of Life Science at National Taiwan University. I remember the first time I asked Ozy to edit my paper; he came to my lab to discuss with me first.. Uni-edit is a very professional editing company from my point of view. Ozy is also a kind and friendly person. Until now, we have asked Uni-edit to edit over 50 papers covering the fields of bioinformatics, drug development research, proteomics, and cancer-related research. The species covered include bacteria, plants, animals and humans. Uni-edit always assigns the most suitable professional experts to edit our papers, which is the reason I'm confident to keep sending papers to them. I recommend Uni-edit to my friends and students for English editing and with this video I recommend them to you too. Ozy telah mengedit lebih dari sepuluh naskah penelitian saya. Saya sangat puas dengan pekerjaannya. Dia selalu mengembalikan naskah tepat pada waktunya dan dengan kualitas yang lebih baik dari apa yang saya harapkan. Karena dia memiliki ahli dalam bidang teknik dan bahasa, dia mampu memahami isi dari naskah saya. Saran-sarannya sangat bermanfaat tidak hanya untuk tata bahasa atau pilihan kata, tetapi juga untuk kejelasan dari konsep penting yang ingin saya sampaikan pada naskah. Jika Anda membutuhkan editor yang serius untuk mengedit naskah penelitian atau dokumen teknik lainnya, saya dengan senang hati menyarankan untuk memilih editor yang tepat dan layak ini kepada Anda. I must say that Uni-edit editing services are good in their professional and coordination. You can discuss it again with native editors through emails, if you have doubts about the edited document. They and the most trustworthy and recommended professional English editing service provider for manuscripts. I would like to recommend University English Editing and Translation Service (Uni-edit) to people who encounter difficulties in their English journal paper writing. Ozy, the chief editor, has developed a very professional team to help me remove this kind of problems. Thanks to Ozy and his great team, my first IEEE article will be published this month. If you are looking for someone to help you improve the quality of your paper, don’t hesitate to call and ask Ozy. I can guarantee that you will receive outstanding services from this team. I am a PhD student currently in my fourth year studying in the Department of Electronic Engineering at Tsinghua University in Beijing. I have so far published papers in conferences including IEEE ICC and Globecom. In order to further improve the English of my papers and thus help me publish in high impact international journals, I actively sought after Uni-edit’s professional English editing services. I was myself recommended Uni-edit’s services by other senior students, who told me that the Uni-edit team is familiar with the stringent review process and deadlines in the academic publishing world, they are very reliable and always deliver promptly. I can testify this statement having now worked with Uni-edit myself. The original promised delivery day was within 7 days, and I was pleasantly surprised when I received the edited work after only five days. Hence why I am confident of Uni-edit’s reliable services. In addition, the editors have improved my paper’s English whilst retaining my intended meanings, so now my paper flows much better. I am the doctoral candidate of Department of Computer Science of National Chiao Tung University. It is almost a necessary to ask a professional English editing service when submitting papers to journal for a non-English speaker. This is the first time I asked Uni-edit to edit my paper. I am grateful Uni-edit professional team with friendly and professional service. Uni-edit team not just correct grammar and sentences, also will share their suggestions when they feel unclear or to verify meanings. It helps me to express my points more clearly and precisely, and increasing acceptance by journal. Thanks again for the excellent job from Uni-edit. I am a PhD candidate of College of Computer Science of National Chiao Tung University. It is over 3 years now since the first paper asked Uni-edit for English editing. Uni-edit is a very important language partner for a non-native speaker researcher like me. Uni-edit team helps me to improve my paper in Egnlsih and then get published to other researchers. I also got feedbacks from all over the world. It makes my academic study gradually broaden horizons. Usually I planned to write one or 2 academic papers for publishing in one year. Before asking Uni-edit’s service, I have tried out other English editing companies and I feel more confidence to send my paper to Uni-edit. Because the quality and speed from Uni-edit is better than others. Uni-edit’s team could understand the expressed meaning and give comments quite fast. This is a trustable partner and I recommend you to try. I have used several English editing services but Uni-edit provides very fine and delicate service ‘for Japanese customers’ (We can communicate about deadline,price,content of the English paper, payment method etc.. in Japanese) which is very helpful for me. I am a PhD student of Graduate Institute of Communication Engineering, National Taiwan University. English editing on a paper is a pretty professional work. I have asked other English editing company to edit my papers. But the result was paper got rejected and the reviewer comments mentioned that English needs to be improved. Then one time, one of my classmate recommended Uni-edit to me. After trying out their service, the edited paper with clear meaning expression and got accepted by journal smoothly. I appreciate the Chief-editor Ozy and his professional team. I would like to recommend Uni-edit team and its professional service to other professors and researchers. The English service from Uni-edit is full of the spirit of first-class as well as professional. They will listen to your needs and try their best to meet your needs as soon as possible. 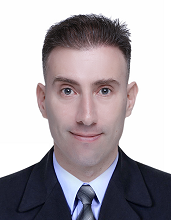 I have taught in Department of Merchant Marine, National Taiwan Ocean University over 20 years with years experiences in journal publishing. Thanks Uni-edit team’s great help on such arduous task. My name is Professor Ren Yong from the Department of Electrical Engineering of Tsinghua University in China. I publish around 20 manuscripts each year and therefore require professional help with writing English fluently to speed up the publication process and ensure the quality of the manuscripts. Uni-edit understands the strict submission deadlines imposed on academics; they are undoubtedly reliable and always deliver completed jobs on time. Chief Editor Ozy and the Uni-edit team respect the work of every author and sincerely wish to help researchers correct the English of their manuscripts and ensure their intended meaning is expressed clearly and professionally. During the process of translation and editing if questions or issues arise, Uni-edit always contacts me to ensure the author’s meaning is preserved. Such attention to detail is critical for professional academic manuscripts. Furthermore, Uni-edit has a team of native-speaker editors and assigns editors who have a related academic background to the researcher or author for each manuscript; they therefore have a good grasp of the subject matter. I am currently teaching in the Department of Recreation Sport & Health Promotion at National Pingtung University of Science and Technology. I publish on average 4 SSCI journal papers a year and therefore require professional English editing services to help accelerate the publishing process as well as improve the quality of my papers. Uni-edit is always reliable and delivers promptly because they appreciate the stringent review process and deadlines in journal publishing. Ozy and the Uni-edit team treat every piece of work as priority and help the authors achieve papers without mistakes, that are written in a professional manner, which also flow beautifully. For instance, one of the papers that I asked Uni-edit to edit subsequently received great praises from the reviewers at Leisure Sciences, who commented that the English is ‘very fluent with no grammatical mistake’. One of the reasons why I can confidently trust Uni-edit with my papers is that the English editors are professional native speakers who have specialist knowledge related to my field of research. I have now been collaborating with Uni-edit for almost two years and Uni-edit has edited over 8 SSCI papers for me. Ozy and his team always reply to my questions or try to resolve any issue quickly and efficiently, I’m particularly impressed by Chief Editor Ozy’s efficiency because he always thoroughly answers all my questions within 24 hours. Uni-edit’s pricing is also very reasonable for the professional services they provide. I therefore recommend their services to other professors and researchers. My name is Ya-Wen Lee, a doctoral student of Department of Nursing, College of Medicine, National Taiwan University. I need to publish some papers with high standard, therefore I need a professional English editing service to speed up me to publish high standard articles. I have tired 3 different editing companies so far. I could feel that Uni-edit emphasis on each investigator works and dedication to help manuscript as fluent as a native English speaker with professional editing level and suggestions. Uni-edit will make sure to understand my paper well by communicate with me if there is any unclears. Also, Uni-edit understand academic rigorous peer review system and the deadline, therefore you could trust they always deliver files on time. It is very important that a team care service for professional academic manuscript. This is my second time to work with Chief editor Ozy and Uni-edit team, I sincerely recommend Uni-edit team of professional services to other researchers. Ozy and Uni-edit team can provide professional English editing that meets my need. They charge reasonable rate for their service. I would like to recommend the professional service of Uni-edit team to other professors and researchers. PS. The paper edited by Uni-edit was accepted by the journal “Suicide and Life-Threatening Behavior”. My name is Hsueh-Fen Juan, a professor of Life Science in National Taiwan University. The reason I have asked Uni-edit (University English Editing and Translation Service) edit 11 papers for me in just half a year is Uni-edit team really understand the rigorousness of academic and the importance of submitting deadline so Uni-edit always deliver files on time or earlier. The chief-editor Ozy and Uni-edit team cares of each work from researchers and take care of them to problem free as well as fluently sincerely. They will communicate with us if they encounter any difficulties or answer properly if we have any questions. I would like to recommend the Uni-the edit team of professional services to other professors and researchers from the reasons I mentioned above. Uni-edit's English editing quality is very high because two native speaking editors check your manuscript. They also give us appropriate advices so that we can express our intended meaning clearly.They answer to your requests accurately and honestly.Their turnaround time is also quick and price reasonable, which is very helpful for me. I recommend Uni-edit. Over the past few years, I have sent my manuscripts to Uni-edit for English editing several times. After their editors edited on my papers, I got my papers published. The main reason I would keep sending my papers to Uni-edit and recommend Uni-edit to other professors is they allow me to focus on improving the research content and do not need to worry about the language writing in English. I am the author Li Liqing of editing job code P043001HIT. I have read the manuscript been edited through your company's service. Thanks editors for their help! I am sending a letter of recommendation; hope it can make more people to find Uni-edit, to help them submit the paper successfully. Through my friend Wang Li introduced, I chose the Uni-edit for my English manuscript editing. In the past I wrote the manuscript and edited it by myself, always received the comments with “obscure English, do not understand the author's intention" from the reviewers, that feels very frustrated because I spent a lot of times and efforts to edit my paper. I decided to adopt Uni-edit’s help. After editing the manuscript, feel Uni-edit editors understand the author's ideas. Uni-edit understand the academic rigor of the review system, the manuscript on time delivery. Uni-edit customer service officers with the author's native language to communicate, this service is very convenient. In view of the Uni-edit of a good and robust service, I have already recommended a friend to use Uni-edit of editing services. I have asked for Uni-edit English editing team to help my several marketing articles until now. Their editors can not only understand the research content and provide appropriate suggestions for revision, but also the turnaround times and results of their works are conformed to my expectations. I believe strongly Uni-edit team is a trustworthy and affirmative English editing service provider. I recommend it sincerely. AEI movie is a young film production company, has committed to funding and creation for youth directors. A couple of years ago, in order to make the movie subtitles in Chinese is readable for Chinese speaking audiences, we have found Uni-edit and it helped to translate movie subtitles perfectly. I believe most of new opened companies or individual studios will need the services from Uni-edit. They could help to translate and edit the requests with international business strategies and thinking to help their consumers with fast and accurate services. When I received the translated file, I found they made the clear CHECKs for me to explain why they translated a little bit different from my original Chinese to make it more native. The most important thing is the customer service agent Leigh who can provide fast and professional service to solve problems for customers. Highly recommend you to contact Uni-eidt. A colleague recommended Uni-edit English editing to me while one of my papers almost got accepted by an international journal if the paper proofread by native editors for US spelling and grammar in 2 weeks. The Uni-edit team worked hard to complete the editorial work in a week and issued a certificate to prove the work done by native speakers. I believe all the Academic scholars ever work with Uni-edit will recommend it certainly. I had never used any English editing service when I wrote papers. Recently I started to use Uni-edit and I was very impressed because the editors edited my paper very thoroughly and well. Since then, I made it a habit to ask Uni-edit to check my English. Sometimes I even try to see the native English editor's reactions by using some new expressions which I want to use (even though I think those expressions are little strange). In most cases, these expressions are fixed by the editors.However, to be honest, I enjoy it very much because usually the edited sentences(expressions) are little different from what I want to express, and I can think (imagine) what made these differences. My name is Chen Yuan, a PhD student from the School of Municipal and Environmental Engineering, Harbin Institute of Technology. In order to meet school requirements for graduation, annually publish 1-2 papers and need professional English editing services to accelerate the speed and reach the level of articles published. Uni-edit team was introduced from my teacher, working with the Chief Editor Ozy and Uni-edit team greatly improved my speed and level of published articles. I will recommend Uni-edit team professional services to professors and researchers of Environmental areas. The main reasons are the following: 1) Ozy came to visit me and my research team to discuss and understand our needs, providing not only professional, but also very friendly and personalized service; 2) Ozy and professional team are always fastest to respond or solve the problems, the service is also very reasonably priced way. Wish Uni-edit team better and better! One of my most encountered difficulties when writing academic papers is how to clearly, yet concisely express my intended meanings. Uni-edit provides very professional advice and their services have helped me overcome this challenge. My English writing skill has also greatly benefited from Uni-edit’s services as a result. I therefore strongly recommend authors who encounter similar problems to consult Uni-edit for their professional services. I have used Uni-edit English editing service twice. What I like about Uni-edit is that their editors (subject matter experts) give me appropriate advice on the structure and the point of argument of my paper. English written by Japanese authors usually looks clumsy but after having my paper edited by Uni-edit, the English in my paper looks very natural. Thanks to Uni-edit, the journal reviewer told me my English is fluent. The editing fee is also reasonable and the turnaround time is fast enough. I’m satisfied with Uni-edit’s service and I recommend their service to everyone. I work as a writer/editor of books and magazines and I use Uni-edit English editing/translation services when I edit books published by foreign publishers. I was very satisfied with their editing/translation quality. Their price is more reasonable than other editing companies. Your paper will be double checked by a second editor so that the quality of English will be very high. They will also listen to your request such as 'Please make the English less formal'.Native English speakers check your English thoroughly and they also answer your questions, which makes your paper high-quality. I also appreciate that I can choose an editing (translation) level and turnaround time. When I write English manuscripts, I often use Uni-edit English editing service. I have used other English editing services before but compared to them, Uni-edit’s editing quality is higher and the price is also reasonable. Their customer service in Japanese is also reliable,and the follow-up service is great too. Also, Uni-edit often completes their job earlier than the deadline and it makes me feel happy (lucky) too. I recommend Uni-edit. I am Assistant Professor Wang Li from the School of Municipal and Environmental Engineering at Harbin Institute of Technology. I publish around 5 manuscripts each year and therefore require professional English editing service to speed up the publication process and ensure the quality of the manuscripts. Uni-edit understands the strict submission deadlines imposed on academics; they are very reliable and always deliver jobs on time. I always ask Uni-edit to edit my paper. Uni-edit staffs are eager and deliver jobs very quickly. They understand our intended meanings , and fix the English so that it will look natural and easy to understand. I also recommend their TUTOR service. When fixing grammatical and word-choice mistakes, they will show us appropriate examples and explain to us. Their advices for figures and tables are also helpful. Even after English editing is completed, they will answer to our questions politely and quickly. I recommend Uni-edit to other professors, with confidence. Uni-edit understands the stringent review process and deadlines in journal publishing. They always reply promptly to my questions and resolve issues very efficiently. In addition, Uni-edit’s pricing is also very reasonable. My name is Shouzen Fan, associate Professor of Department of Anesthesiology in College of Medicine, NTU and Director of Anesthesiology of NTUH. Writing papers occupied most of my time, except hospital work and teaching. Even though I was trained well on medical research and English writing, I can’t squeeze extra time for polish English better. It could save my time and increase the chance to get paper published., if I can get help from a professional English editing company to express my meaning clearly. Why I chose Uni-edit? 4. With their knowledgeable customer service, I could get clear Chinese explanation to meet my needs. I can feel they give a strict training on their staff. 5. The turnaround time and fee are clear and reasonable. 6. Help me to apply funding reimbursement with quotation and local invoice which is fa-piao. I strongly recommend you should give Uni-edit a try. At least call them to ask the service, workflow. Then you will understand you are making a right decision of choosing an English editing service. How to use "Precise" words in English papers is one of the most important factors as well as whether the international journal papers can be accepted or not. After working with several well-known academic paper English editing and translation companies, I know they can edit native-like in American or British style papers with correct grammar. However, it depends on editor’s "professional" and "careful" editing capabilities to use "precise" and "right" terms to express theauthor’s original meaning in the paper. Since starting to request English editing service from Uni-edit (University English Editing and Translation Service), the terms used failurely had never occurred to my any more. The quality of Uni-edit certainly deserves to be trusted to all academic authors. Naskah " ISEE Bagian II. .. " telah diterima dengan lancar. Terima kasih banyak atas bantuan pengeditan profesional Anda. Saya sangat suka dengan layanan Anda, khususnya layanan “Target Tutor”. Ini bukan hanya membuka mata saya, tetapi juga membantu saya mempelajari sesuatu yang baru. Saya pasti akan menghubungi Anda lagi apabila saya membutuhkan layanan Anda. 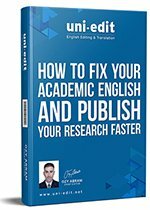 I have used 8 different English editing companies for submitting my manuscripts to journals, but I feel Uni-edit's English editing is the most suitable one for my fields of study. So far they have edited my manuscript of 3 different academic fields and all of their work have satisfied me. I appreciate Uni-edit's support very much. Their services are really flexible. For example, after having journal reviewers review your manuscript,you can ask Uni-edit to edit just certain parts of it. Also, you can use public expense for payment. I think their services are very helpful for profesors and researchers of universities in Japan. I'm using Uni-edit English editing service for my academic writing. When I review my manuscript after uni-edit edits it, I can know which part of my manuscript (my Engliish) is not correct in details and I can learn a lot. Above all, I'm very satisfied with the kind attitude of Uni-edit's staff. I recommend Uni-edit's English editing service especially to those who have never used an English editing service. I know they might feel anxious when using this kind of service for the first time. Probably they don't know what they need and how they should use an English editing service. But I believe that if you ask Uni-edit to edit your manuscript, everything will be alright. The reason why I'm confident is that Uni-edit's kind customer service makes me feel at ease. They will even answer a very basic question for you. I feel Uni-edit is a company which can provide an excellent service and a high quality English editing service. Please use Uni-edit's English editing service. Or, you can at least ask them about their service, work process etc.. I'm sure that you will feel you made a correct choice.